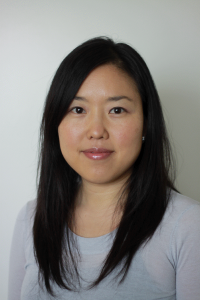 Palo Alto University Professor Joyce Chu, Ph.D., is a guest co-editor of a special issue of the Asian American Journal of Psychology that is dedicated to the understanding of suicide among Asian Americans. The Journal (2018, Vol. 9, No. 4), which she co-edited with Michigan State University's Frederick T. L. Leong, Ph.D., and Stanford University’s Shashank V. Joshi, M.D., includes a compilation of studies that shed light on the current state of knowledge about suicide in Asian American communities and highlights innovative approaches to suicide prevention and management. Q. How did this special issue on suicide among Asian Americans come about? A. About a year and a half ago, Fred, Shashank, and I submitted a proposal to Bryan Kim, the editor of the Asian American Journal of Psychology. The three of us are involved with the issue of suicide in the Asian American community, which has been under-studied to date. We wanted to bring attention to the research that has been done to help identify factors that may be helpful in reducing suicide among Asian Americans, locally and beyond. We also wanted to encourage additional researchers, health practitioners, and community members to get involved to address the issue. Q. What are some of the most significant findings? A. One takeaway is how culturally varied the experience of suicide is across different ethnic/age groups, and that a tailored approach is needed. For example, the articles reveal specific risk factors for Asian Americans such as hidden suicide ideation (not disclosing one’s suicidal tendencies to others), performance/achievement pressure, and burdensomeness among Asian American college students. In turn, Asian American parents are even less likely than Latino parents to follow up on mental health referrals. We need to look at the service connection process and give the referral point more thought. Q. Can you comment on the recent teen suicide clusters in Palo Alto? A. Recent high-profile suicide clusters in Palo Alto brought national attention to the issue on suicide, with particular interest in Asian American youth. The clusters kicked off a huge community and state effort to prevent suicides. California State Bill AB 2246 was passed, which requires the adoption of suicide prevention, intervention, and follow-up plans by local California school districts with students in grades seven through 12. The bill requires local education agencies to develop their policies in conjunction with suicide prevention experts, school and community stakeholders, and school mental health professionals. A lot of progress has been made, but more needs to be done. Q. What do you think is the significance of this special issue of AAJP to our local community? A. In a nutshell, it provides insights into the factors leading to suicide ideation and behavior, and offers innovative approaches to prevention that can be tailored to our local community, such as parent education initiatives. Q. What is your involvement with the issue of suicide among Asian Americans at Palo Alto University? A. As professor at PAU and a clinical psychologist, I’m focused on two main areas: Asian American mental health, and suicide prevention and management. My mission is threefold: first, to decrease mental health service disparities in the use of mental health services as Asian Americans have some of the lowest rates of usage. Second, to provide suicide prevention and management to underserved populations, including ethnic, gender, and sexual minority communities. Third, to discover what the needs are in the community in the areas of Asian American mental health and suicide prevention. I hope the special issue will serve to generate conversations among all stakeholders that will lead to further progress in reducing suicides among Asian Americans.